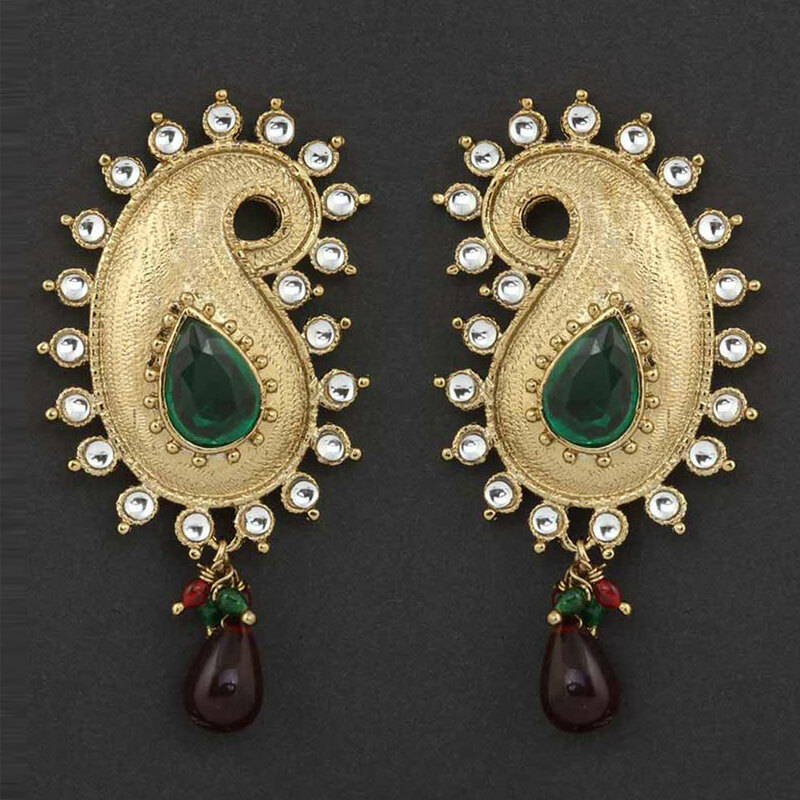 The brilliance of the gold plated brass metal has been beautifully complimented by the green stone centrepiece and beautiful white stone work that borders the Read More..metal design f this beautiful pair of earrings. 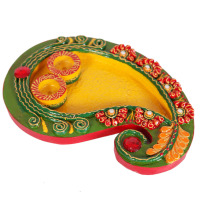 Adding to the beauty of this piece of jewellery are the red teardrop hangings attached to the base. Show Less..